This is Adam Greig's blog. 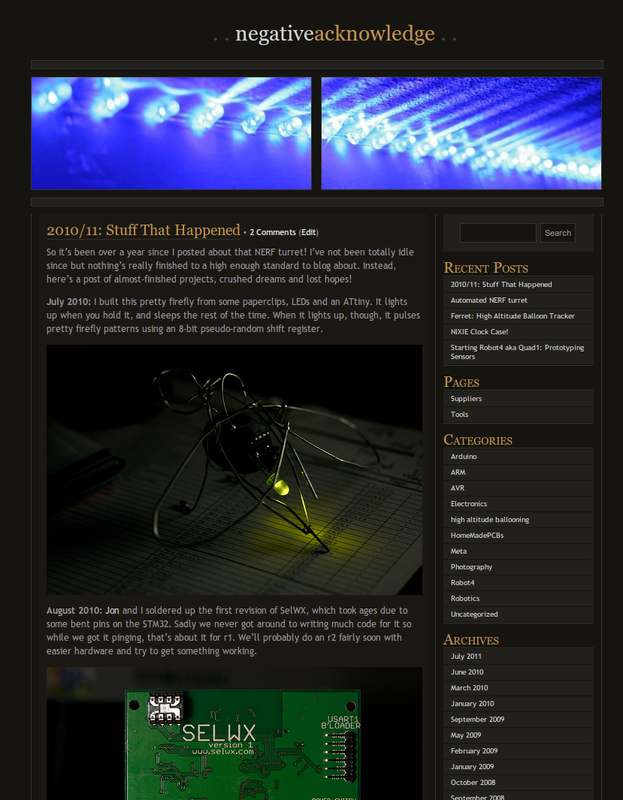 Mostly posts about electronics, programming, signal processing and baking. Powered by Pelican, with the Pelican-Bootstrap3 theme in Journal colours. Use the handy links on the side bar if you want to get in touch! Used to be a Wordpress site ('08-'11). Moved over to a static generator when that became the thing to do. Most of the old content got imported, though!